Sgt. Jones M. Cope, son of Mrs. Beulah Cope, graduated from Manitou High School. Entered service in Sept. 1944, trained in Camp Fannin, Texas, San Francisco, Cal. 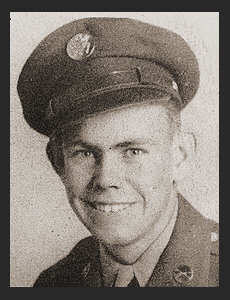 ; served in the Philippines, Luzon, where he was wounded in April 1944, and Japan. Awarded Pruple Heart, Good Conduct Medal, Asiatic Pacific Ribbon.